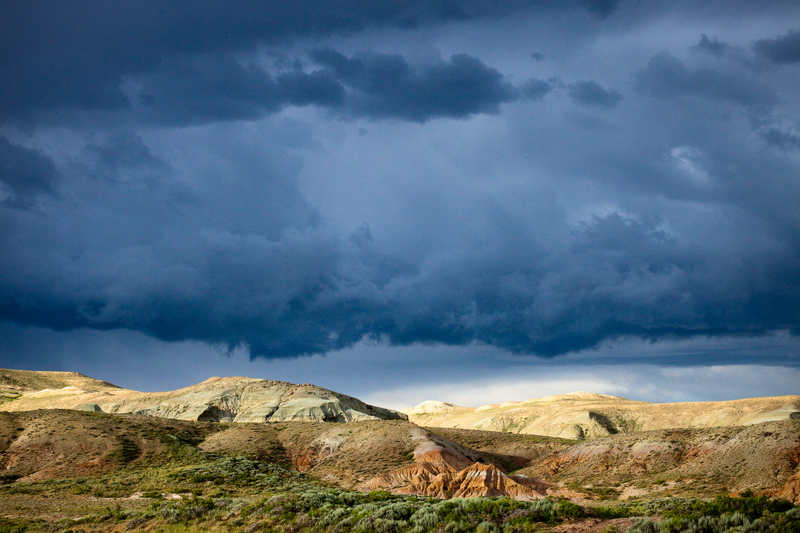 A storm broods over Wyoming's Honeycomb Buttes in the Red Desert in July 2010. This high cold desert encompasses more than 6 million acres, about the size of Denali National Park, and remains the single largest unfenced expanse of land in the Lower 48. That may change as increasing pressures of energy development cross-section what has often been called the "Big Empty."